The Magic in working together. My first meeting with Rolf, was when he invoked me to his office - he had seen some of my work, from one of his staffer. I entered the office, and there he sat, this hot-shot, specially headhunted from Stockholm, and he turned around, still sitting on his Eames chair " what... you´r young, too young for big campaigns, or what ? did you do this campaign ? " and I answered yes, trying to control my shaking voice. This was the start on a magical period in my career, which should make the food-print for my professional life as a photographer. Always, when Rolf was involved, the magic was arriving and we did great work, sometimes rewarded in the entire world. 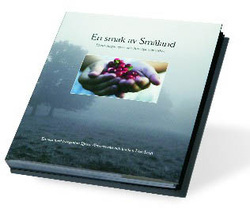 Rolf did Graphic Design on my first book, " En Smak av Småland " a fantastic job in esthetics and design. Of course no-one else could had done " A Moment " besides Rolf, the magic still exists, thank you.